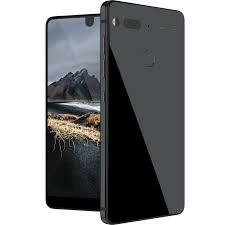 Our own Senior News Editor Douglas Black has received the news that all Essential Phone PH-1 customers have been waiting for – confirmation that the device will ship within 7 days of final payment. The message from Essential states that the devices have been built and are finally ready to get into the hands of customers. The PH-1 was due to ship before the end of June, but was hit with unexplained delays, while a couple of senior executives from the tech unicorn have left the company. The Essential Phone is one of the most highly anticipated smartphones to hit the market in 2017, due in large part to the fact that the company is one of the startups founded by the father of the Android operating system, Andy Rubin. Even when taken in isolation from the knowledge that Andy Rubin is involved in the project, the almost bezel-less device is striking thanks to its unique synthesis of glass, ceramic and titanium. Another highlight is that it will ship with an unadulterated version of Android 7.1.1 (Nougat). As you would expect from a high-end Android device released in 2017, it will be powered by an octa-core Qualcomm Snapdragon 835 in an ARM big.Little configuration with four high-performance cores clocked at 2.45GHz and four power conserving cores clocked at 1.9GHz. This is matched with 4GB RAM with storage coming in a single 128GB capacity. The QHD LCD display is made using the latest CGS/LTPS tech, while its camera features a 13MP dual RGB and Mono sensor with “image fusion technology.” While it uses a USB-C port, some users will be disappointed by Essential’s decision to forgo a headphone jack. Expect a bunch of unboxing videos along with drop tests, bending tests and scratching tests when users start receive their Essential PH-1 sometime next week.